Mission Mobility | "Connect & Collect"
Mission Statement: Our goal is to be a “Connection” and “Collection” network for wheelchairs and equipment to be sent to Guatemala to transform lives through the gift of mobility. 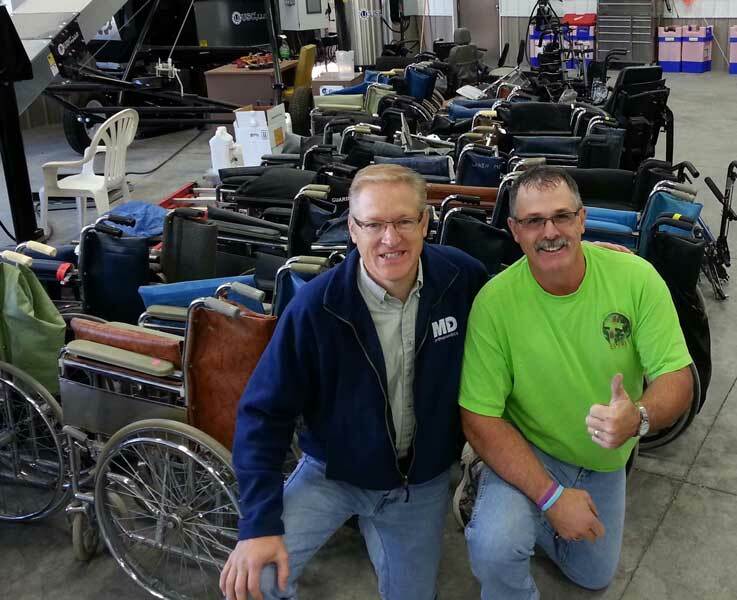 “On His Path” (OHP) is a US 501(c)(3) that has committed to help connect and mobilize a network of volunteers throughout the US to collect wheelchairs in their local communities, then ship them to Bethel Ministries International in Guatemala. Once in Guatemala, these wheelchairs will be refurbished and given for free to disabled men, women and children throughout Guatemala. Because we are a “network” of volunteers, we totally rely on volunteers who are willing to give their time and effort in helping in their local communities. Whether someone lives in a large city or small farming community, there are always opportunities to find critical equipment that can be used in Guatemala. Click to read more about how you can volunteer. We need your help. Please contact us today!